This beautiful 2-bedroom barn conversion, in the heart of rural Dorset, may have a past as a home for farm animals, but it's present incarnation is pure, sophisticated boutique hotel luxury, complete with gorgeous Ren toiletries and sumptuous White Company robes and towels. Plus, there's a family-friendly gastro-pub or two, and an alternative therapies centre, within a short walk, so whatever your preference, relaxation is high on the agenda. Grown-ups will love the cool, minimalist décor, stylish modern bathrooms with drench showers, vaulted ceilings, wooden floors, and wood burning stove, not to mention and all the latest high-tech entertainment extras, including Wi-Fi, IPod Docking station with CD and radio, and 32” Flatscreen TV with DVD and Freeview. There's also a TV in the main bedroom for holiday' lie-ins! Plus, the ability to pre-order delicious home-made ready meals from local company 'indulge' really puts the icing on the cake! Junior guests will be similarly enthralled by a plethora of toys and books inside, a sandpit and teepee in a pretty garden, safely enclosed by a willow fence, and the fab playground with swings, slides and roundabouts a short stroll away through the picture-perfect village of Farnham. Baby and toddler needs are catered for too with high and booster chairs, baby baths, bouncers and bottle sterilisers, potties, socket covers, plastic cutlery and crockery and sippy cups. The building itself contains two gorgeous bedrooms, one with a kingsize bed, ensuite bathroom with walk-in shower and doors to the garden, another with bunk beds and a wooden cot. The slick state-of-the-art kitchen comes complete with induction hob, eye-level oven, integrated microwave/grill, fridge freezer, dishwasher, washing machine and tumble dryer, and a table that sits six people, plus an indulgent Nespresso machine to make mornings all the more enjoyable! 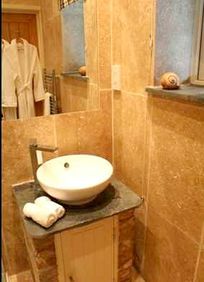 Guests may find it difficult to tear themselves away from the sheer, relaxing luxury of The Cowshed. But those who do find lots to amuse them. The rolling Purbeck hills invite exploration by foot or bike, full of ruined castles, stately homes like Longleat and Cranborne, and, less than an hour away, are the long, unspoilt beaches of the Jurassic coast and the shops, bars and boutiques of Poole and Bournemouth. This is prime country pub territory too. Perfect for lazy lunches with the little ones, of course, but if a child-free evening for two is called for, then owner Claudia can recommend a local babysitter that she has has already tested out on her own young sons. This part of Dorset has the ability to be all things to all people. Bask in rural isolation in the stunning countryside close to The Cowshed, admire the architecture of Salisbury and the mystery of Stonehenge, shop til you drop in Poole and Bournemouth or run free with the kids on the beaches such as nearby Studland Bay – all without spending more than an hour in the car. It's tempting to eat at home in the evening when staying somewhere as lovely as The Cowshed and you've got children in tow. No problem – you can pick up all the makings of a feast at the string of artesian bakeries, butchers and farm shops within an 8 mile radius. But should the lure of eating out prove impossible to resist there are two outstanding pubs within walking distance, the award-winning Museum Inn and the recently-renovated King John Inn, and fab restaurants such as Castleman's Hotel at Cranborne Chase a short drive away. Guests are spoilt for days out. Cranborne Manor is just down the road, as is picturesque Shaftesbury with that cobbled hill made famous by a series of Hovis ads. A 30 minute drive away is Salisbury, whilst an hour away are kid-pleasers such as Stonehenge, Longleat Safari Park, the beaches of the Jurassic Coast and Brownsea Island, made famous by Enid Blyton. If the sun shines, the children will also love Honeybrook Farm, six miles away, with it's large playground and array of outdoor activities, and the forest and adventure playground at Moors Valley Country Park, 11 miles away. When the weather gods send rain, guests can pack the small people in the car and head for Manic Monster Indoor Play area, eight miles away, and the water park or bowling alley, 15 miles away in Poole. In addition, there is enough walking, cycling, golf, horse-riding and watersports to keep the whole family smiling. And, if that leaves guests feeling exhausted, they can always head off for a spot of pampering at the Sarpenela holistic therapy and massage centre in village. Nearest Medical Services: Good local GP 3 miles away, A&E Salisbury 16 miles. However, the Cowshed's owners are qualified GPs and on hand in an emergency. Claudia & Crispin are two local GPs with two children themselves aged 5 and 7. Beautiful countryside on the doorstep. Sunday strolls across the fields to the King John Pub in the next door village, Tollard Royal. Favourite day out - Trip to Old Wardour Castle followed by lunch at the Beckford Arms in Fonthill Gifford. The village playground with swings, slides, roundabout etc which is just next to the very well renowned good food pub, the Museum Inn, which has recently become much more child-friendly, and has a family room where you can eat with an area with kiddies toys and desks and things to entertain them whilst you sit back and relax! Hundreds of toys, puzzles, books and DVDs, a cool playroom next door to the Cowshed, bikes, big sand pit and teepee in the garden. Honeybrook Farm is fantastic for little ones and Moors Valley Country Park is always a big hit and is big enough to go back again and again. And of course trips to the beach! Centre of village within 2 mins walk includes the Museum Inn (a well respected good food pub) and a natural therapies centre (Sarpenela), which offers Reiki, Reflexology and massage. Baby Bjorn highchair and extra booster chair, baby bouncer, in bath baby bath, changing mat, steriliser, bumbo, potty, socket covers, plastic crockery, plastic cutlery and sippy cups, hand food blender, baby carrying backpack and double/single Phil and Teds push chair. Waitrose, Ocado, Sainsburys & tesco all will deliver to the Cowshed, or local company 'Indulge' offer delicious homemade meals, ready to heat, as well as a private chef service. Meals can be pre-ordered. 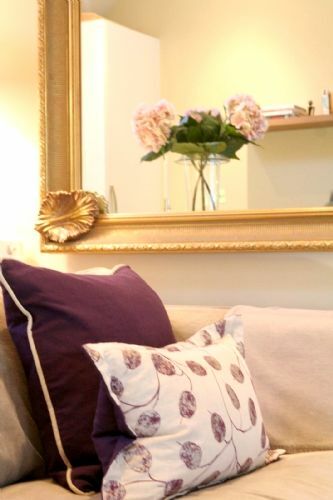 Owner Claudia is a qualified GP and also qualified Botox practitioner - for anyone who fancies going home looking, as well as feeling, years younger! Fantastic stay in the Cowshed. Perfect for what we wanted! A relaxing stay in a very comfortable cottage with everything we needed. Lovely village, very pretty. We would highly recommend to those wanting a break from it all! We had a super holiday at The Cowshed - baby friendly, beautiful, cottage and setting and such friendly hospitality. The playroom was a huge hit with our two children! It was our first trip to Dorset, and was one of our best holidays! The fenced in patio area was ideal for our 3yo and our 6yo. The property had everything we could have wanted. Loads of toys for kids of all ages. The location could not be better. Could not fault it at all. Stayed for a week with our 16 month old. 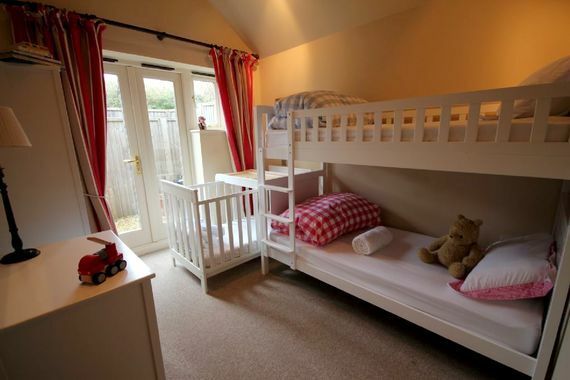 The owners have thought of everything that you might need for a baby friendly, luxury stay in a beautiful country village - from age appropriate welcome snacks, fantastically stocked playroom, country friendly buggy, luxury toiletries and lots more. Will definitely consider returning. We had a wonderful stay at The Cowshed and Claudia made us feel very welcome. The cottage has all your baby or toddler needs and it has a play room next door which is fabulous for toddlers to occupy them for an hour or two whilst parents can sit out and enjoy a coffee or glass of wine. 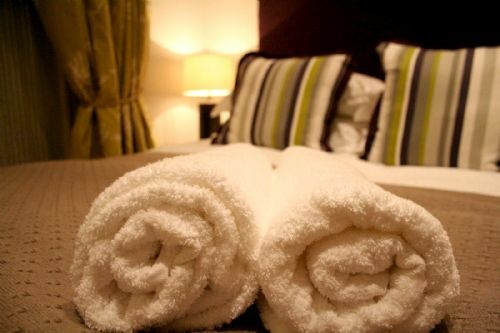 The property is so comfortable and has 5 star comforts, a nespresso machine which made hubby very happy, gorgeous Ren products and a wonderful ensuite shower with luxurious white company sheets, towels and dressing gowns we felt totally pampered! And everyone wanted to stay longer! We can thoroughly recommend and an added bonus only a 2 min walk down the road is a fantastic pub which saves on cooking for a couple of nights! Warm, comfortable, luxurious and incredibly baby friendly. We had a lovely time and hope to visit again soon. I cannot put into words how lovely The Cowshed was! 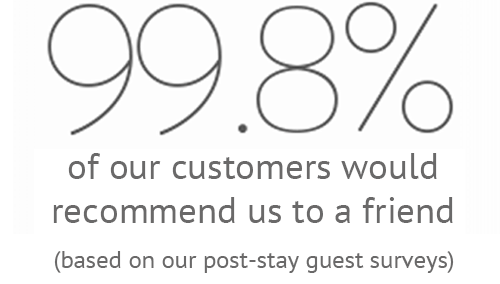 Having read the reviews when we booked I was expecting it to be of a high standard but it really was amazing!! We were taking our 1 year old and 3 year old children away for our first summer holiday which should have been a fairly stressful experience but it really wasn't at all - Claudia had thought of everything that a family needs which made our lives so much easier. The place was immaculate and furnished to a very high (5 star) standard. We've stayed in several holiday cottages over the years but The Cowshed was exceptional. The playroom was a lovely bonus which our two loved disappearing into - and again done to a very high standard and packed to the rafters with every toy imaginable (you really don't need to bring ANY toys with you!). The garden was just the right size for toddlers to run in and out of. The village of Farnham was gorgeous too - just a short stroll to a lovely pub/restaurant and a really well equipped playground. I can definitely say the next time we are heading this way we will be returning to The Cowshed! Fantastic property with absolutely everything you could need for a holiday with young children. Cannot recommend it highly enough and would love to return. Lovely stay in a beautiful property in a wonderful location with lots of family friendly things to do. The Cowshed is perfect for babies/toddlers, with plenty of luxurious touches for the grown ups too - thank you! We had a terrific stay! It's been very well thought through in terms of facilities and baby friendliness, and really felt like a home from home. Really recommend it. It was perfect for a family away for the first time - lovely property. I think that an older child would love it even more (Flo is only 6 months) due to the amazing playroom - which means that we will probably be back! Very well equipped for babies. Very cosy and well furnished. 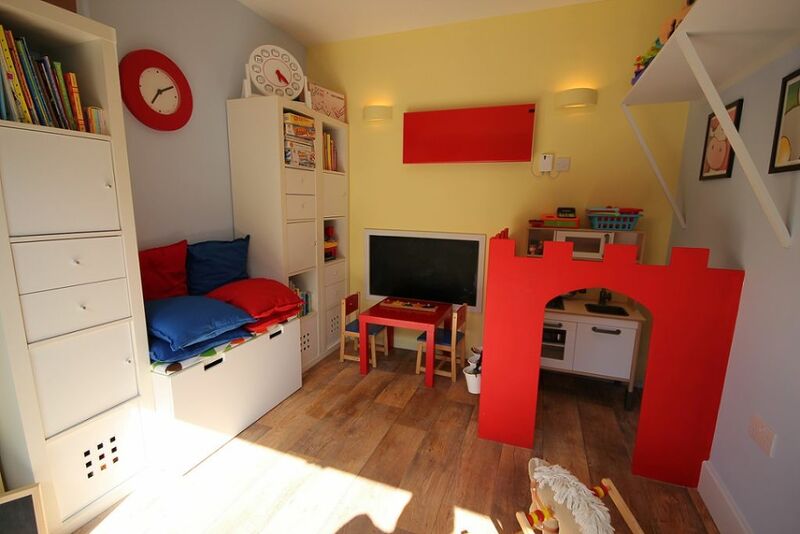 They have thought of pretty much everything and the playroom was great for our son! Can't recommend The Cowshed highly enough. 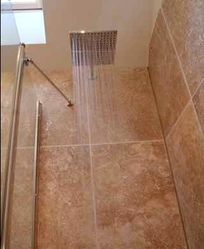 Every aspect has been thought through to make it highly practical with kids yet also luxurious in feel for Mum and Dad. The location is great and the surrounding areas fantastic to explore, with tonnes of kid-friendly activities to keep you busy. We will be back! The Cowshed is a high end property with an amazing playroom for the children. There is a lovely playground in the village and the property is in a good location to get to many local tourist attractions like Shaftesbury, the beach and Peppa Pig World. Claudia gives a very warm welcome. Amazing accommodation where every aspect of travelling with a little person (or more than one!) has been thought of. The Cowshed is a great set up and probably the most baby / toddler friendly cottage we have been to. Everything you could want is provided (and many other things you would not even have thought of). Lovely area, loads for families to do, and a great pub down walking distance down the road for meals out. The perfect place to stay for our first family holiday with our three month old daughter. We will have to return when she is old enough to play in the amazing play room!! Perfect for staying with a 20 month old toddler. 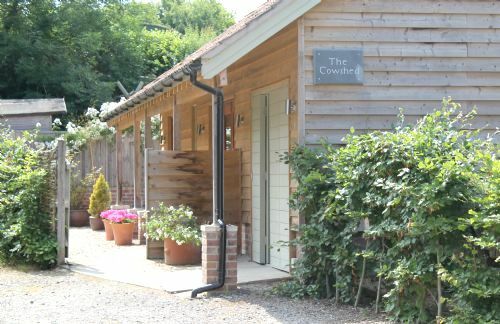 We LOVED our stay at The Cowshed. We'll hopefully be back again in the future! Home from home. Everything you could possibly need for a toddler and baby! Lovely playroom. Thank you Claudia. Just perfect for a break with young children. 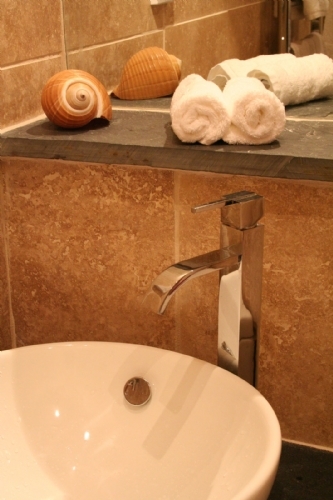 Every detail is taken care of so you only have to worry about getting yourself to this peaceful haven! It's sheer quality for parents & toddlers will love everything about the cottage & the area. Thank you! A very comfortable and well supplied base from which to explore the area. Owners left us a lovely welcome basket was a really kind touch, full of locally made treats. Thank you! friendly owner, superbly fitted out with everything you need for a baby including books and toys. even a great babysitter on hand. Beautiful compact barn conversion, perfect for family with one or two little ones. The place is so well equipped, the friendly and helpful owners have obviously put a huge amount of effort to make sure guests with children have everything they could possibly need. Very peaceful location in a small, pretty, village in the countryside with a decent local food pub. Absolutely fantastic!!!! So toddler friendly, beautiful place & wonderful things to do in all surrounding areas! Lovely accommodation and so comfy with all that u need! Absolutely perfect cottage for a change of scene with a baby. The whole place is immaculately clean and with a lovely finish. There are many thoughtful touches like suggestions for walks and other activities, extra fluffy bathrobes and a delicious welcome basket full of treats. We will be back. Lovely hospitality. A great getaway. This place is perfect for young families. Everything you need for young children is provided and there are nice luxurious furnishings for the adults too. It is a very pretty part of the world with lots to do for adults and children alike. Would definitely come back. Very helpful owners, beautiful location, LOTS of toys greatly appreciated! Fantastic property, had everything we needed for 18 month old Twins. We had a fantastic time. Great place and a lovely welcome from the owner. Well equipped and very comfortable interior. Welcome pack very thoughtful with great info on days out. Beautifully and thoughtfully decorated catering for all the needs of parents and children alike. Additional information pack and warm welcome by owner helped to make it a truely wonderful break. Good accommodation, very clean and has everything you need when holidaying with a small child. Would definitely stay again. Couldn't ask for more in accommodation. Wonderful facilities and made us and our 10 month old feel equally welcome and comfortable. I would highly recomend this cottage! Excellent hideaway with everything you need for the little one. I couldn't have asked for a more perfect place to come to for a surprise birthday weekend. Claudia was so fantastic liaising with my husband Tim to help him plan what has been such a fun filled and relaxing weekend. From recommendations for some of the nicest pubs we've ever been to, to a gorgeous welcome hamper, extra sheets, cots and all things a baby could wish for - nothing was too much trouble! Our 6 month year old, Oliver also enjoyed his first holiday at The Cowshed so much, we have all agreed we will be returning again very soon! I cannot recommend The Cowshed highly enough, and there is not a single negative thing to say about it. Claudia and Crispin are wonderful hosts, and were very understanding when our holiday was unexpectedly extended by heavy snow! Everything was utterly perfect: plenty of space, brilliant baby equipment, luxurious bathrooms, comfy sofas and a bed that's responsible for the best sleep I've had since our child free days! Utterly wonderful and well worth a visit. We will definitely be back. A absolutely wonderful place to spend some family time, the attention to detail was lovely and the children were completely wowed by the wonderful playroom, the perfect combination of luxury and child friendly, we'll be back! A great holiday, our first chance to escape and truly relax with our little one. The cowshed has everything you need with a 8 month old (just crawling) baby boy. Lovely village, amazing cottage. Exceptionally well equipped and luxurious and the Nespresso machine is a brilliant feature for the coffee lover! Lunch with the kids at the Museum Inn is a must. We'll definitely return. A wonderful retreat, a really luxurious place to stay! This property is ldeal for a small young family. Very comfortable, warm with all one needs for the children. No need to bring all that baby equipment in the car, everything is provide, clean and well maintained. Highly rcommended. Well equipped for the baby and luxurious for the parents, a perfect combination. A wonderfully warm welcome from the friendly, helpful owners and fantastic, spotless, high quality accommodation in a beautiful part of the country, made for a brilliant holiday. Couldn't recommend it enough. My children are adamant they want to go back next year! Amazing time here. Perfect for kids and adults. Lovely cottage and perfect location near lots of fun kid-friendly activities. A delightful cottage, an absolute pleasure to stay in. Beautiful decor, well equipped and very comfortable. Great location, we enjoyed lots of pleasant days out. The Cowshed is a true delight. Nestled in the Dorset countryside it has absolutely everything you could need for a luxurious, stylish and baby friendly break. Most of all we were made to feel so welcome by Claudia and Crispin and nothing was ever too much trouble. We cannot wait to return! The Cowshed is a lovely welcoming and friendly place to stay, with those little extras that helped make our holiday that little bit more enjoyable. This was a wonderful location for our first family holiday. Our 6 month old loved all the toys and we loved having everything we needed right there. It's a beautiful property in a gorgeous location - and the wonderful babysitter meant that my husband and I could enjoy our first night out together for months! A lovely, cosy and luxurious place to stay. The local museum inn did wonderful food. The owners, claudia and crispin could not have been more helpful/friendly. Hope to go back! 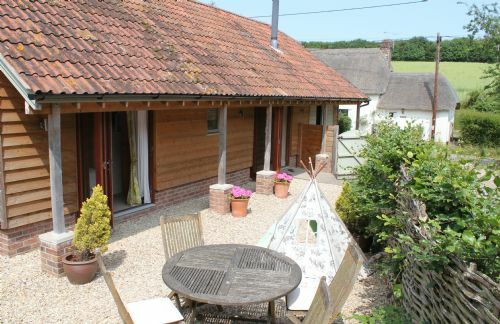 The Cowshed is in a beautiful location, and is really well finished and presented. The owners are very friendly and helpful, and it was perfect holiday base for ourselves with a toddler and a young baby. The quality of the finish (the place is immaculately done) the fixtures and fittings (fantastic kitchen appliances and bathrooms plus gorgeous White Company bedding, towels and robes) and indeed the little touches such as REN toiletries, toys to suit the age of your children and a welcome basket with goodies, including treats for the kids) made this a particuarly special break. Claudia, the owner, is delightful - helpful and approachable while being respectful of your privacy. The baby / toddler equipment is excellent and thoughtful and the location in the beautiful village of Farnham with a great pub and fantastic little playground just minutes from The Cowshed make it 5 star. Highly recommended. We stayed in this lovely cottage with our 2 daughters aged 2 months and 22 months. It had a very safe, secure garden for our eldest to play in and loads of toys to entertain her. Within a few minutes walk is a lovely park and a great pub restaurant, the Museum Inn. The village itself is lovely with cute thatched cottages and a quiet road. Would recommend this cottage. A wonderful break in this picture postcard village with fantastic accomodation. Overall Rating: Outstanding! We had a fantastic short break at The Cowshed, the owners were fantastic, so helpful and welcoming! The property was lovely, all brand new and well thought out, we even had a wigwam for the kids to play in, along with toys and a sandpit, which was great. The location was great for a get-away and we enjoyed a local walk and trip to a nearby pub, which was beautiful. Lulworth Cove is less than an hour away and we had perfect weather, so all in all a fantastic time! We'll keep The Cowshed on our list of places to revisit and we'd definitely recommend it to anyone. Thanks BabyFriendlyBoltholes.co.uk from The Redgates!